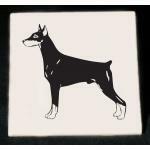 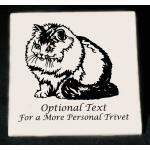 Ceramic and wood tiles and trivets with laser engraved dog and cat designs. 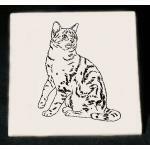 Great for wedding presents, bridal shower gifts, engagement gifts, house warming presents, kitchen decorations and more. 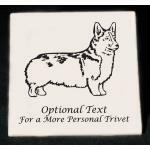 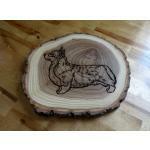 Bark edge engraved Pembroke Welsh Corgi elm wood trivet.